Welcome to makemealtimefamilytime.com, the Web site of Make Mealtime Family Time. As used in these Terms and Conditions, the term "Web site" refers to the Web site located at www.makemealtimefamilytime.com as well as online services that include, but are not limited to, our E-mail newsletters, our archives, our premium online content, and our online discussion forums. Make Mealtime Family Time does not control, and is not responsible for, any third-party site to which the Web site links. The materials contained on the Web site are provided by Make Mealtime Family Time as a service to you for your noncommercial, personal use on an "as is, as available" basis and may be used by you for information purposes only. You acknowledge that you are using the Web site at your own risk. Make Mealtime Family Time assumes no responsibility for error or omissions in these materials. Make Mealtime Family Time makes no commitment to update the information contained herein. Make Mealtime Family Time makes no, and expressly disclaims any and all, representations or warranties, express or implied, regarding the Make Mealtime Family Time Web site, including without limitation the accuracy, completeness, or reliability of text, graphics, links, products and services, and other items accessed from or via the Web site, or that the Web site will be uninterrupted, error-free, or free of viruses or other harmful components. No advice or information given by Make Mealtime Family Time or any other party on the Web site shall create any warranty or liability. Make Mealtime Family Time does not warrant or make any representations regarding the use or the results of the use of the materials at the Web site in terms of their correctness, accuracy, timeliness, reliability, or otherwise. Under no circumstances shall Make Mealtime Family Time or any of its parents, subsidiaries, affiliates, or their respective partners, officers, directors, employees, or agents be held liable for any damages, whether direct, incidental, indirect, special, or consequential, and including, without limitation, lost revenues or lost profits, arising from or in connection with your use, reliance on, or performance of the information on the Web site. Make Mealtime Family Time periodically schedules system downtime for maintenance and other purposes. Unplanned outages also may occur. Make Mealtime Family Time shall have no liability for the resulting unavailability of the Web site or for any loss of data or transactions caused by planned or unplanned system outages, or any outages of webhost providers or the Internet infrastructure and network external to the Web site. All materials published on the Web site are protected by copyright laws, and may not be reproduced, republished, distributed, transmitted, resold, displayed, broadcast, or otherwise exploited in any manner without the express written permission of either Make Mealtime Family Time or, in the case of content licensed by Make Mealtime Family Time from third parties, the entity that is credited as the copyright holder of such licensed content. You may download freely accessible material (one copy per page) from this Web site for your personal and noncommercial use only, without altering or removing any trademark, copyright, or other notice from such material; you must pay a fee to access articles from our archives and our premium online content. 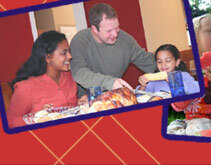 Make Mealtime Family Time, through its forums, provides users an opportunity to post content to the Web site. Make Mealtime Family Time does not necessarily endorse, support, sanction, encourage, or agree with content posted by users. You shall not post or transmit any unlawful threatening, abusive, libelous, defamatory, obscene, vulgar, pornographic, profane, or indecent information of any kind, including without limitation any transmissions constituting or encouraging conduct that would constitute a criminal offense, give rise to civil liability, or otherwise violate and local, state, national, or international law, or infringe upon another's copyright or trademark. You understand that all information, data, text, software, music, sound, photographs, video, messages, or other materials posted or transmitted in a Make Mealtime Family Time forum, whether publicly posted or privately transmitted, is the sole responsibility of the person from whom such content originated. This means that you, and not Make Mealtime Family Time, are entirely and solely responsible for all content that you upload, post, or otherwise transmit via the Web site. Make Mealtime Family Time does not and cannot review the content posted by users and is not responsible for such content. However, Make Mealtime Family Time shall have the right, but not the obligation, to delete, move, or edit any content that violates this agreement or is otherwise objectionable as determined by Make Mealtime Family Time in its sole discretion and without notice. 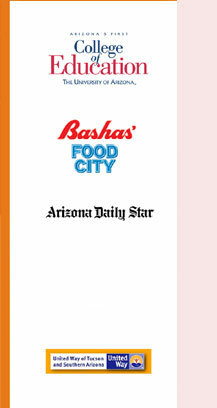 If you upload, post, or otherwise transmit content to the Web site, you acknowledge that any such submissions may be edited, removed, modified, published, transmitted, and displayed by Make Mealtime Family Time in any medium now existing or hereinafter invented, and for any purpose, including commercial uses. You waive any moral rights you may have in having the material edited, removed, modified, published, transmitted, or displayed in a manner not agreeable to you. You agree to indemnify Make Mealtime Family Time and its parents, subsidiaries, and affiliates, and each of their respective partners, officers, directors, employees, and agents, against, and to hold each of them harmless from, any and all claims and liabilities (including attorney's fees) that may arise from your submissions, from your unauthorized use of material obtained from the Web site, from your breach of these Terms and Conditions, and from any such acts arising through your use of the Web site. Make Mealtime Family Time is committed to providing visitors to its site with as many features as possible. The companies that Make Mealtime Family Time selects as featured services providers offer products and services that site visitors may find useful. Make Mealtime Family Time in certain cases may have a business relationship with certain third parties that it selects as a featured service providers. Make Mealtime Family Time is not responsible for the accuracy or reliability of any advice or information given, or of any statement made, by the companies providing featured services, or for the content, services, products, or advertising on or available from their Web sites, or for the availability and operations of their Web sites. Make Mealtime Family Time generally collects personally identifiable information such as a name, postal address, E-mail address, telephone number, or credit card information with your specific knowledge and consent. How does the Web site use information supplied by me? Occasionally, visitors to our Web site may be asked to supply certain personally identifying information, which is then retained by Make Mealtime Family Time. For example, we ask you for certain information if you choose to subscribe to our E-mail newsletters, register with our myusnews or our online discussion forums, or purchase either articles from our archives or our premium online content. 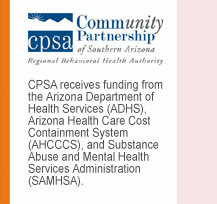 If you choose to give us personally identifying information at such time, such information will be retained by us and used only to provide you with products or services you have requested, or with additional information from Make Mealtime Family Time about Make Mealtime Family Time, its affiliates, or selected outside companies whose products or services we feel may be of use to you. Any information from selected outside companies will be transmitted by Make Mealtime Family Time so that such companies will not have access either to your E-mail address or to your other personally identifying information. Moreover, we will not sell or rent any personally identifying information obtained through the Web site (other than in connection with magazine subscriptions ordered, as explained below) to any other company or organization. 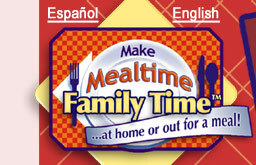 If, at some point after giving Make Mealtime Family Time your personally identifying information, you do not wish to continue to receive additional information from Make Mealtime Family Time about Make Mealtime Family Time, its affiliates, or selected outside companies, in general, you may opt out by E-mailing randylongacre@makemealtimefamilytime.com and put the words "remove my name" in the subject line of your E-mail; in the case of our E-mail newsletters, you also may follow the procedures at our E-mail newsletter registration page. If you provide identifying information to subscribe to our magazine, either online or offline, please read the policy pertaining to "Magazine Subscribers" below. From time to time, the personally identifying information that you provide to us may be shared with our suppliers or service providers who assist us in maintaining and managing our newsletters, myusnews, our archives, our premium online content, our online discussion forums, and other activities on the Web site. Such suppliers or service providers may use your personally identifying information only in the course of providing services to Make Mealtime Family Time, but they may not use such information for other purposes. While your individual information is protected as discussed above, Make Mealtime Family Time reserves the right to use such individual information to create aggregated, anonymous data about users in order to develop statistics about activity on and visitors to the Web site. In addition, Make Mealtime Family Time may disclose personal information if we in good faith believe that such action is necessary to (1) comply with the law or with legal process; (2) protect and defend our rights and property; (3) protect against misuse or unauthorized use of the Web site; or (4) protect the personal safety, property, or rights of our users or the public. What are "cookies" and how do you use them? "Cookies" are pieces of information that are placed by a Web site in a storage place on your computer. Cookies do not contain information that is, in itself, personally identifying. Cookies are placed on your computer in a limited way to help deliver advertisements, to calculate unique site visitors, and to track usage throughout our site. Other uses include placement of cookies to make the login process more convenient for users of our E-mail newsletters, our archives, and our online discussion forums. In addition, some advertisers may place cookies on your computer. We do not have control over cookies placed by advertisers. No one under the age of 13 should provide any personal information. In general, Make Mealtime Family Time does not knowingly collect personally identifiable information from children under 13. If in limited circumstances we do knowingly collect personally identifiable information from children under the age of 13, we will do so only with verified parental consent prior to collection. In the event that we learn that we have collected information from a child under the age of 13 without verification of parental consent, we will delete this information from our database as quickly as possible. If you believe the Web site has any information about anyone under 13, please contact us at randylongacre@makemealtimefamilytime.com.